From wedding ring tattoos to unique bands and engagement styles, people are opting more and more to avoid traditional jewelry when it comes to their wedding day. And the latest trend in wedding bands has to be the cutest, most personal yet—fingerprint rings. 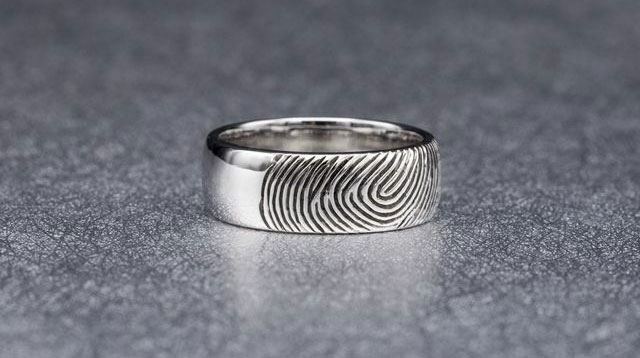 Metro spotted Reddit user Im_High_Tech's own wedding band, which he designed as an ode to his wife, using her fingerprint as the design for the engraving. "I had her fingerprint a piece of paper 70 times," he explained on the thread. "I then took a photo of the fingerprint and cleaned up the image. Fingerprints are very messy on a microscopic level so they need tweaking." He then sent the print and ring specs off to a custom jewelry maker and voilà, his oh-so-personal piece of jewelry was born! The company that Im_High_Tech used to create the ring is custommade.com and his ring cost under $1,000 (P49,535). 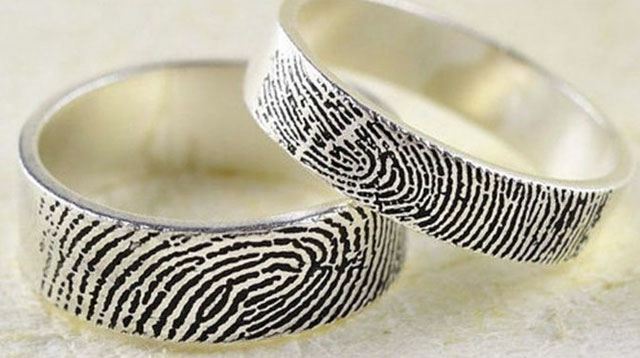 For a cheaper option, you can buy sterling silver, gold-plated rings with custom fingerprint engraving through Etsy for prices starting P1,700. And just think, this could work with all kinds of jewelry and other keepsakes as a personal reminder of someone you love. So cute!